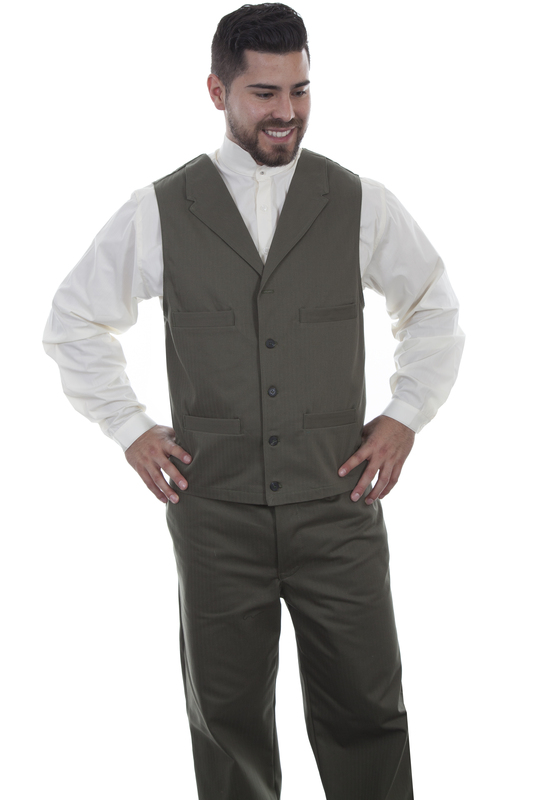 This durable cotton vest features a five button front closure, notched lapels and four front welt pockets. The back features an adjustable back strap for fit. This herrinngbone vest is unlined.